A friend was recently lamenting how the latest version of his favorite phone is set to a 4:3 aspect ratio for photos instead of the 16:9 like his last phone. He could change the mode to 16:9, but that the default mode is cutting the sides of the image. I tried explaining that it’s the 16:9 mode that is a cropped version of the actual image, but he was convinced it was the other way around. This got me curious and I did a little more digging. 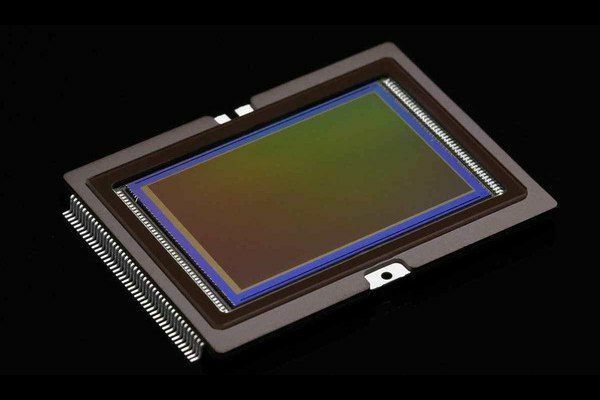 It has a lot to do with the camera’s image sensor. My friend would have been correct if the sensor itself had 16:9 dimensions. 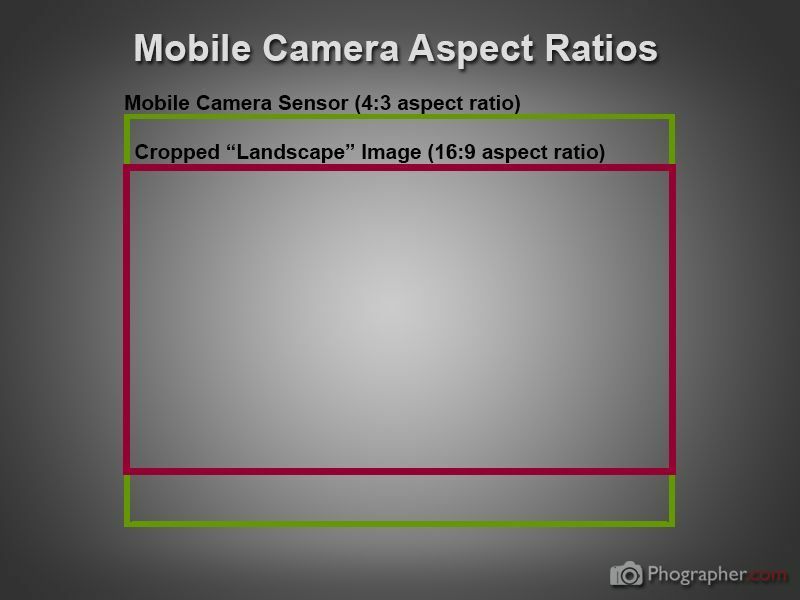 However, virtually none of the countless mobile phone cameras, as well as point-and-shoots and DSLRs, have sensors with this wide aspect ratio. Firstly, let’s start with the basics. The lens of any camera; be it the one in your phone, a high-end DSLR or a simple pinhole camera; projects a circular disk onto the image sensor. Since round sensors would be prohibitively expensive to make and circular images difficult to deal with, image sensors are rectangular. Placing the circle of light within the rectangle would mean that your photos would have dark corners (the technical term for this is vignetting). Instead, manufacturers sacrifice some of the image being projected and only retain a rectangular portion of the circle. How much of the circle is cut depends on the aspect ratio (width x height) of the image sensor. 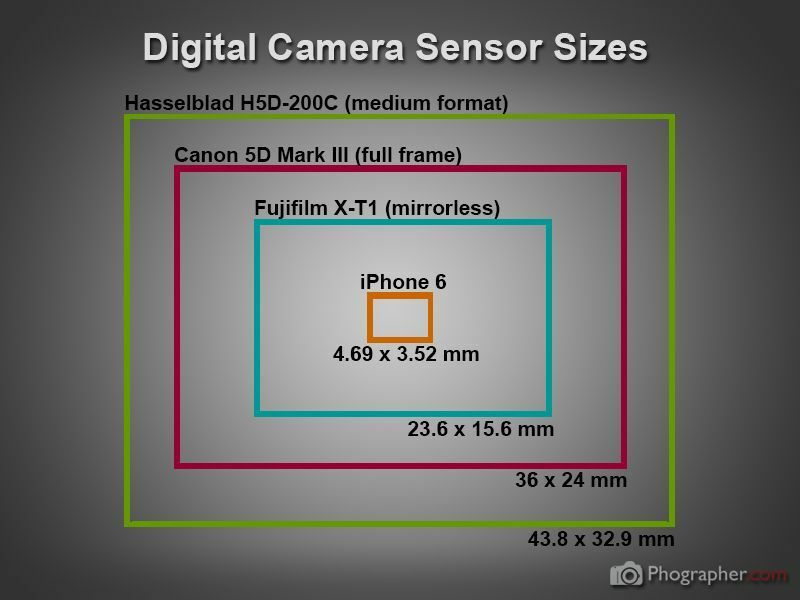 The above diagram compares the sensor sizes and aspect ratios of various cameras, including medium format (Hasselblad H5D-200C, 43.8 x 32.9mm, 4:3), full-frame (Canon EOS 5D Mark III, 36 x 24mm, 3:2), mirrorless (Fujifilm X-T1, 23.6 x 15.6mm, 3:2) and mobile phones (iPhone 6, 4.69 x 3.52 mm, 4:3). The differences in their sensor sizes are bigger than most people realize. 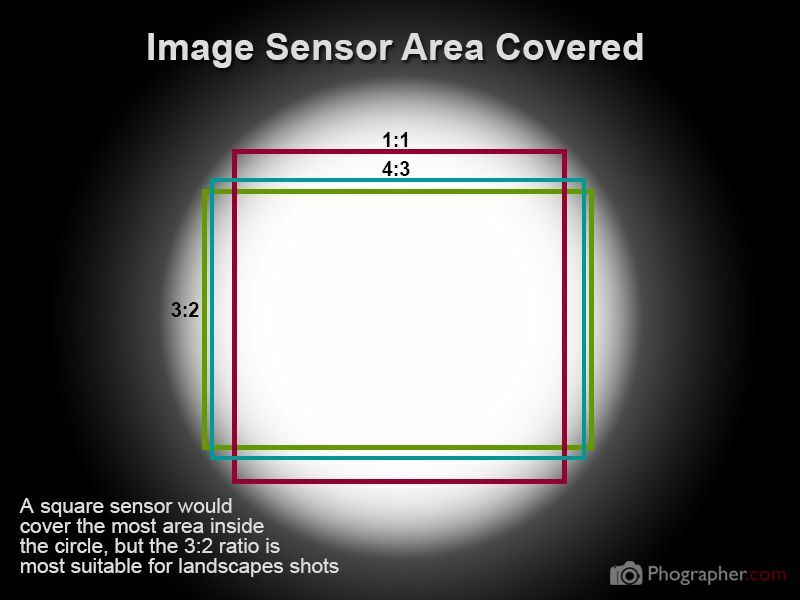 Most DSLRs and mirrorless cameras have a sensor with a 3:2 aspect ratio. This was chosen at some point, partly because it works nicely for landscape shots. It is also close to the golden rectangle’s ratio of approximately 1.618:1. However, it becomes a little too long for pictures shot in portrait orientation. The vast majority of the photos I take are shot in a horizontal, landscape orientation. 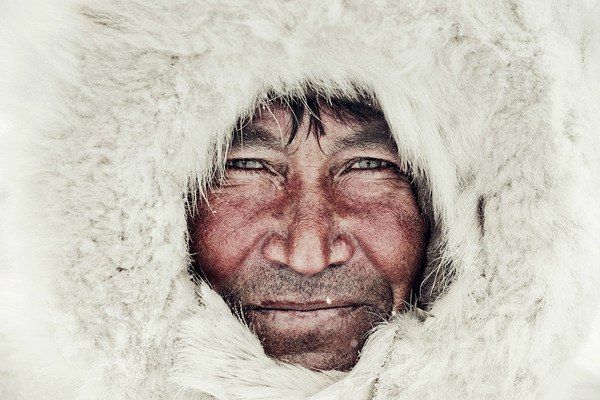 Even many portraits of people. However, vertical portrait shots often end up cropped to a shorter, more natural frame. A huge proportion of the shots we take with our phones are in a vertical portrait orientation, even many videos. It is just easier to shoot this way, especially with a touchscreen device. This is probably why consumer gadgets, namely point-and-shoot and mobile phone cameras, almost always have a 4:3 sensor. The iPhone 6 comes with a 4.69 x 3.52 mm sensor. That comes out to a 4:3 ratio. The Samsung Galaxy S5 has a bigger, 1/2.6″ sensor, but the ratio is the same. So when you choose a landscape or panorama aspect ratio, such as the 16:9, you are still shooting at 4:3, but having the top and bottom cropped to give you the desired dimensions, as you can see in the above diagram. Interestingly, some high-end medium format cameras came with a square image sensor since it captured the most area in the circle. Current medium format cameras, such as the Hasselblad in the earlier diagram, have a 4:3 sensor, letting you crop the image later in post-processing. There you have it. If you want the maximum image size and often shoot vertical portrait shots, stick to the 4:3 option. If a panoramic landscape shot is your preference and you don’t have much to include in the top and bottom of the frame, switch to the 16:9 mode. If you want to learn more about cropping and framing, also check out our guide to cropping portraits.